Awesome views from the lodge and property. 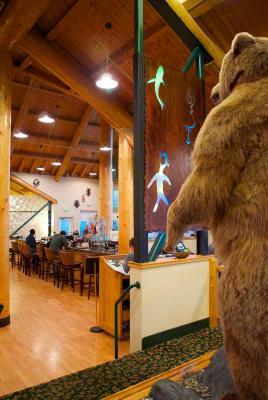 We loved it because it was quiet and a perfect lodge experience. 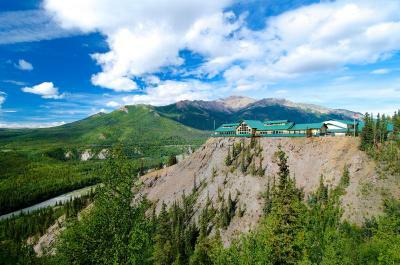 The hotel provides frequent shuttles down the cliff to the canyon where there is an abundance of eateries and gift shops. 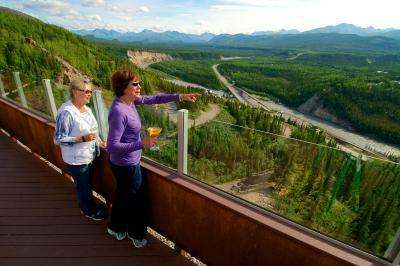 They also provide frequent shuttles to the Denali Visitors Center. 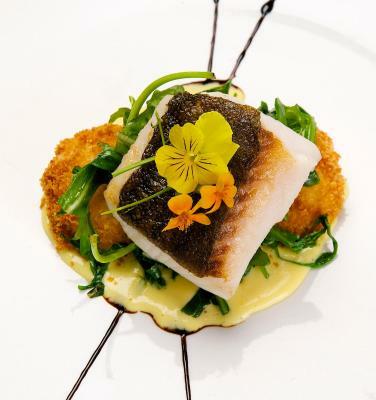 The restaurant, although expensive, provided high quality cuisine. All of the seasonal workers were super friendly and helpful. Denali shits down completely on Sept. 15th. So, there is a season to visit there. No need for a car. Tons of tours will pick you up at the hotel. The hotel picked us up from the train station and our bags were delivered directly to our room. The view from the restaurant/check-in area was worth the price of admission. Magnificent Fabulous. 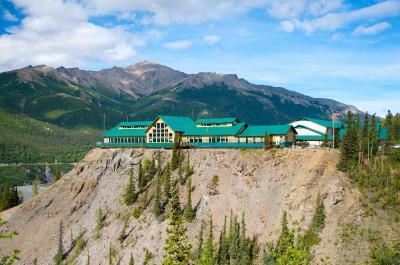 The shuttle services provided were also great.We went to Alaska to see and experience something that we had never seen before and that view from the main lodge! Wow The signs on the road up to lodge also assured us that humor is alive and well in Alaska, The proximity to the town just made everything great. The king-sized bed was really king-sized. Mucho bang for the buck! Staff was nice except the evening staff who left us stranded at 10:00 in the woods and didn’t pick us up for an hour. Front desk was very accommodating. Little coffee bar was convenient. Close to the park entrance. We were able to take the Natural History bus tour and see the free dog sledding demonstration put on since the 1930s. 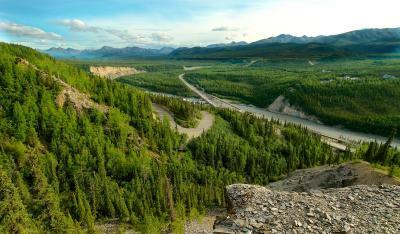 Great view of the park, mountains and the canyon. The food in the restaurant was great as well. It was great that when we arrived the took care of our luggage. Didn’t have to touch our bags until they were in the room. 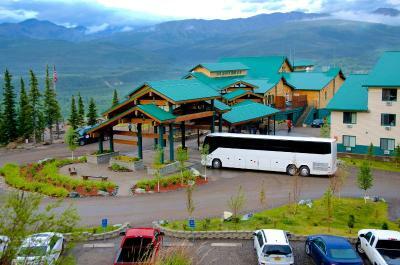 Transportation in the hotel & area works well between Denali National Park and hotel. 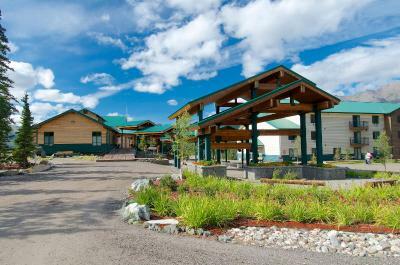 Beautiful lodge and free shuttles to train depot, bus depot and shopping. The staff was helpful and answered all our questions. The shuttles were very convenient. 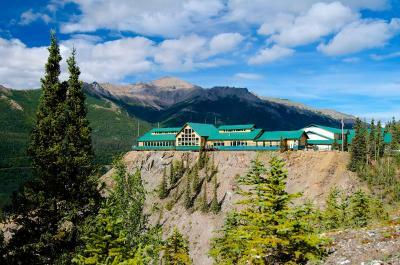 Grande Denali Lodge This rating is a reflection of how the property compares to the industry standard when it comes to price, facilities and services available. It's based on a self-evaluation by the property. Use this rating to help choose your stay! 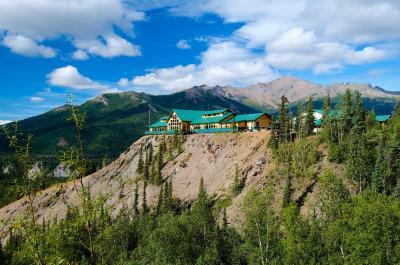 Offering panoramic views of Denali Canyon, this rustic lodge is 1.6 miles from Alaska Travel Adventures and Denali National Park. 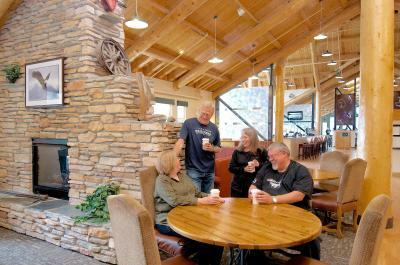 It features on-site dining and guest rooms equipped with a coffee maker. 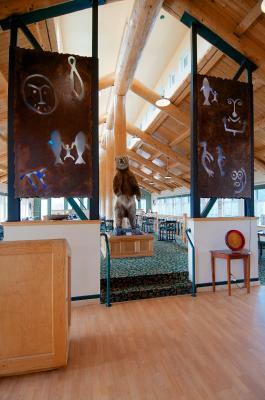 Each of the warmly colored rooms at this Denali National Park lodge includes dark hardwood furniture. 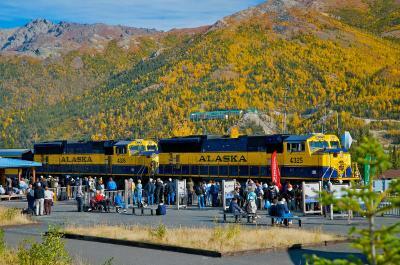 Guests can watch cable TV, featuring the Alaska Channel. A work desk and refrigerator are provided. 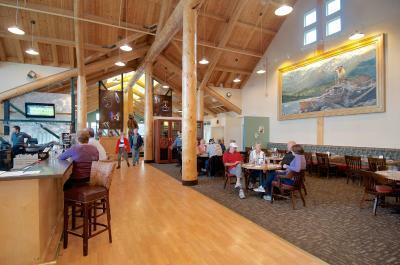 The Grande Denali Lodge lobby features river rock fireplaces, comfortable seating, and vaulted ceilings. 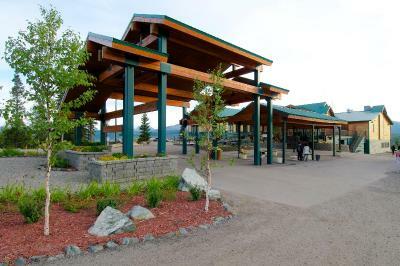 The front desk is open 24 hours a day and a gift shop is located just off the lobby. 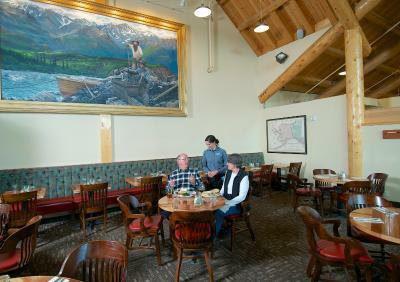 Also off of the lobby is the Alpenglow Restaurant, serving contemporary dishes for breakfast, lunch, and dinner. 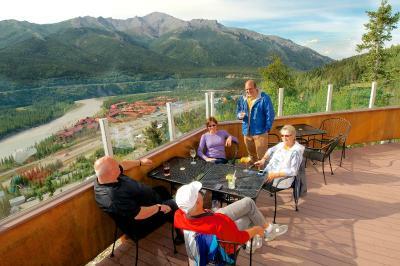 The Peak Spirits Lounge offers views of the Alaska Mountain Range and a variety of specialty drinks. 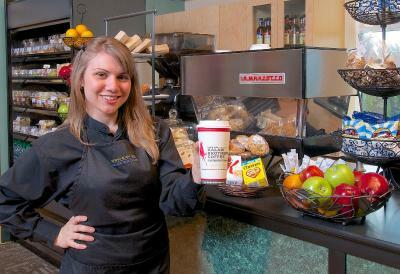 Coffee and snacks are available all day at the Peak Express Coffee Shop. 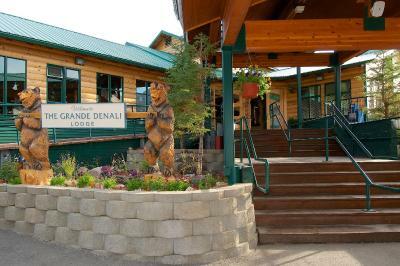 Denali ATV Adventures is across the street from the Grande Denali Lodge. 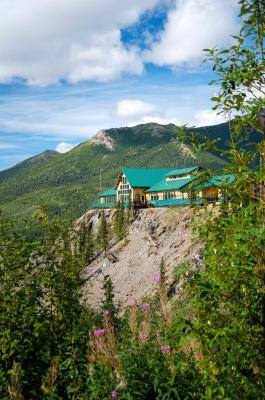 Denali Raft Adventures is less than 1 miles from the lodge. 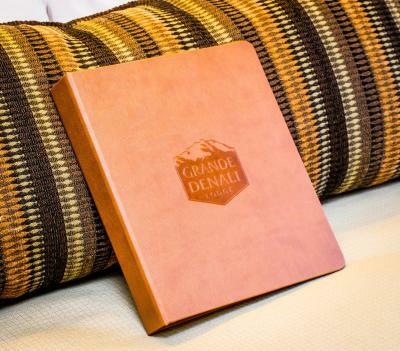 When would you like to stay at Grande Denali Lodge? These multilevel rooms feature an elevator and have an ice machine and laundry facilities on the first level. All rooms have a private bath, a work desk, a cable TV and coffee making facilities. 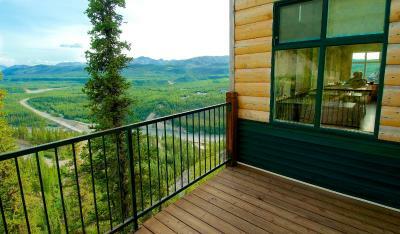 The rooms offer panoramic canyon views. Please note: 1 extra bed is permitted. These multilevel rooms feature an elevator and have an ice machine and laundry facilities on the first level. 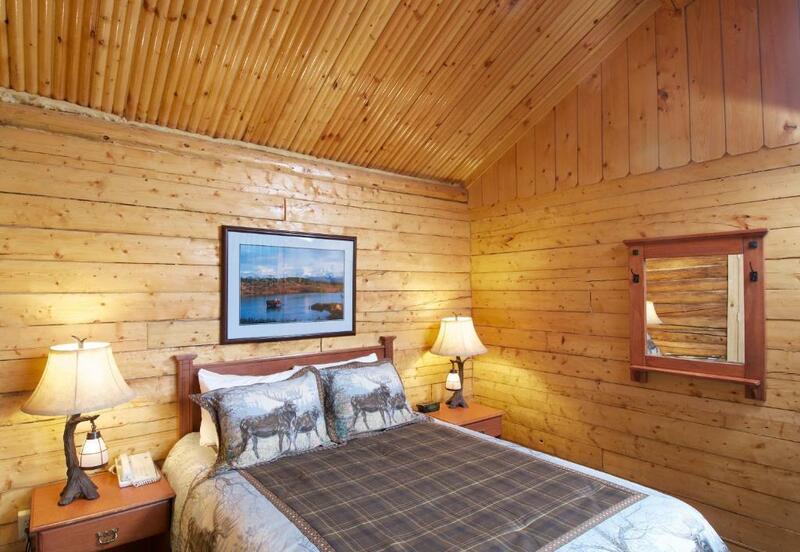 All rooms have a private bathroom, a work desk, a cable TV and coffee making facilities. Please note: 1 extra bed can be accommodated in this room. These multilevel rooms feature an elevator and have an ice machine and laundry facilities on the first level. All of the rooms have a private bathroom, a work desk, a cable TV and coffee making facilities. Please note: Extra beds are not permitted in this room type. These multilevel rooms feature an elevator and have an ice machine and laundry facilities on the first level. 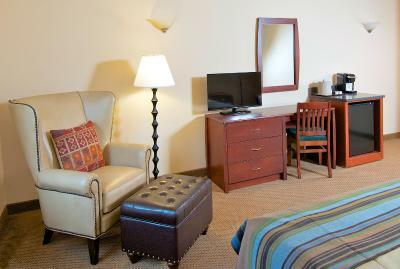 All of the rooms have a private bathroom, a work desk, a cable TV and coffee making facilities. The rooms feature panoramic canyon views. This cabin provides a separate living area, sleeping area, and a deck. A sofa bed, microwave, and refrigerator all featured. 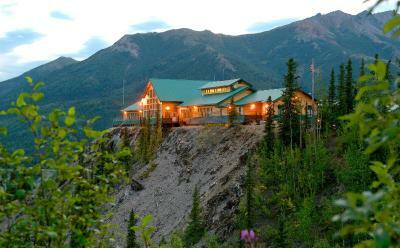 House Rules Grande Denali Lodge takes special requests – add in the next step! 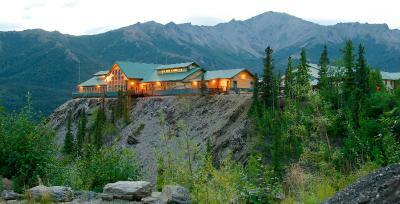 Grande Denali Lodge accepts these cards and reserves the right to temporarily hold an amount prior to arrival. A service fee is required per room. Please contact the property for details. 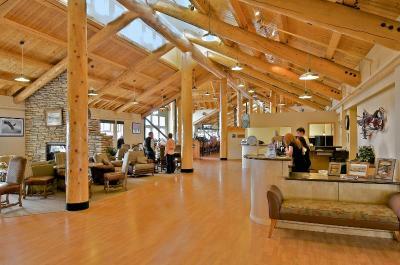 Rooms were very clean but basic for the price but we understand based on the limited time this lodge is able to be open. Food prices were high. Not unusual for Alaska, tho. When we checked in, we were told that check out is at 10am. It was also written TWICE on the key card folder and on the morning of our departure, one of the staff members knocked on our door at 8.45am to make sure that we will leave by 10am. While, the dinner in the restaurant was very good, the breakfast was like something from a youth hostel - even the plates were wet! 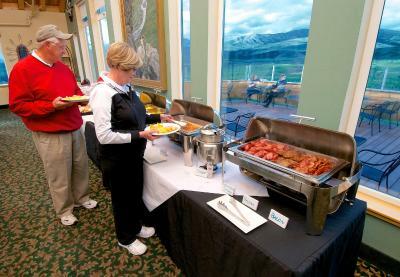 The worst breakfast we had during a two week tour of Alaska in, by far, the most expensive hotel. There is a rather nice cafe in the reception area, but it was almost inaccessible in the morning as the seating was being used by "groups" waiting for their guides. While the view is certainly a selling point, we did not feel it justified the exorbitant price of the very standard accommodation. Very unhappy employees, service in restaurant almost non existence. It was the end of the season, and I assume they were going to be closing in the next few weeks, but we paid a lot of money for this property and there should have been someone to oversee the employees and their attitudes. Very sad to see. Food quite expensive and no variety of alternatives. The road to the hotel is rough. 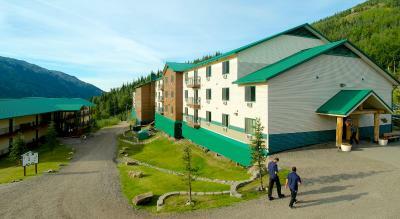 Spectacular views, helpful staff, clean and our room was upgraded. In our opinion, the staff were untrained, unsupervised, probably college students at the end of the season, no excuse for poor work! Dinning room, poor breakfast choice, 1 by 4 slice toaster for this size of hotel?? Evening meal, our main course was brought while we were still eating our starter. Bed linen, while “clean”was stained and the bed was very poorly made up. The pillow cases did not fir the pillows. The lighting by the bed was harsh and very difficult to access. Fan in the bathroom was enough to waken the dead. The general decor in the rooms and corridors seems dated. 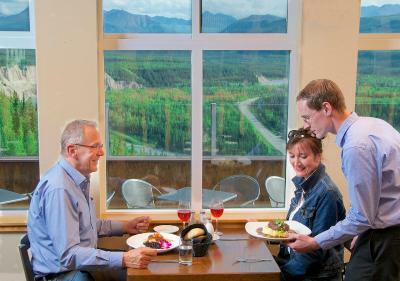 All this in a hotel which is marketed as a premier destination in a beautiful national park. Not a good advert for Amaerican hospitality. The view. A comfortable bed. The fact that I was lied to at booking the hotel room. I booked a canyon view months in advanced but received a bottom floor room trees have grown so NO VIEW! Price for breakfast was way over priced 100 for 4 2 adults 2 kids? Gasket was missing around the door could see outside.Room was just a motel room average.Would not stay here again. Not much! View was great outside. We stayed in a cabin that was at the bottom of a steep hill only accessible by service vehicles however the hotel was always very quick to send someone from their staff to pick us up. 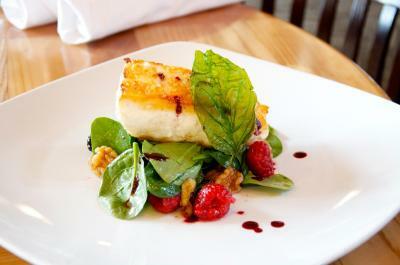 Staff in the lobby were always very courteous and the food at their restaurant was exceptional! Arrogant staffs. Checkout time is 10am and there is no exception. Too far from downtown and very limited shuttle service. Wild animals were seen in the road from downtown to the hotel so there is a safety concern. We needed a wheelchair and were given access to one. We were able to have our room moved to one on level ground for wheelchair access and this made life much easier. Location was great. Food at the on site restaurant was good. Friendly staff.